arriba | WHY DO WE LOVE CHOCOLATE? 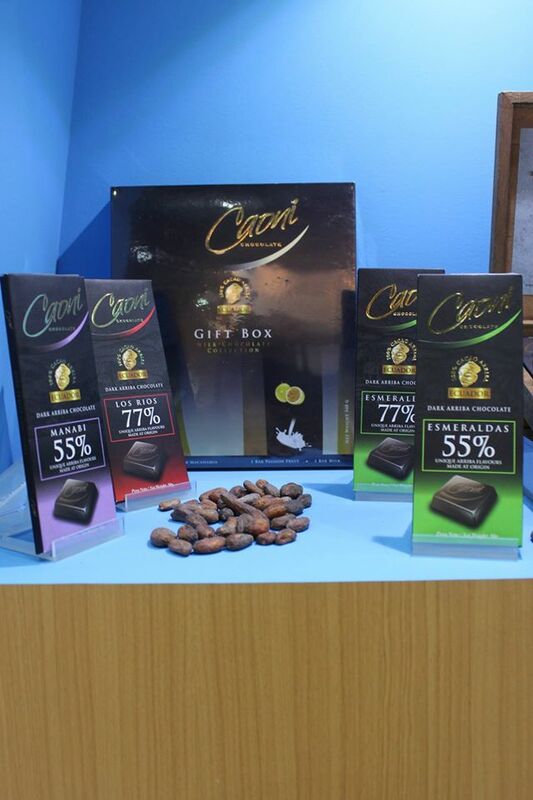 New for Belgium and sure for Kortrijk in my shop Caoni Chocolate from Ecuador. Caoni’s dancing chocolate bars, indigenous music, and a mysterious looking black background all conspire to make Caoni chocolate appealing and exotic. But their site isn’t just light hearted, it also offers information on chocolate’s health benefits, some of which were even new to me, like the compound “epicatequina,” a substance similar to aspirin that helps prevent blood clots. Also, I had not read about the effect of chocolate’s aroma increasing theta brain waves, leaving you calmer and more relaxed. All good news. 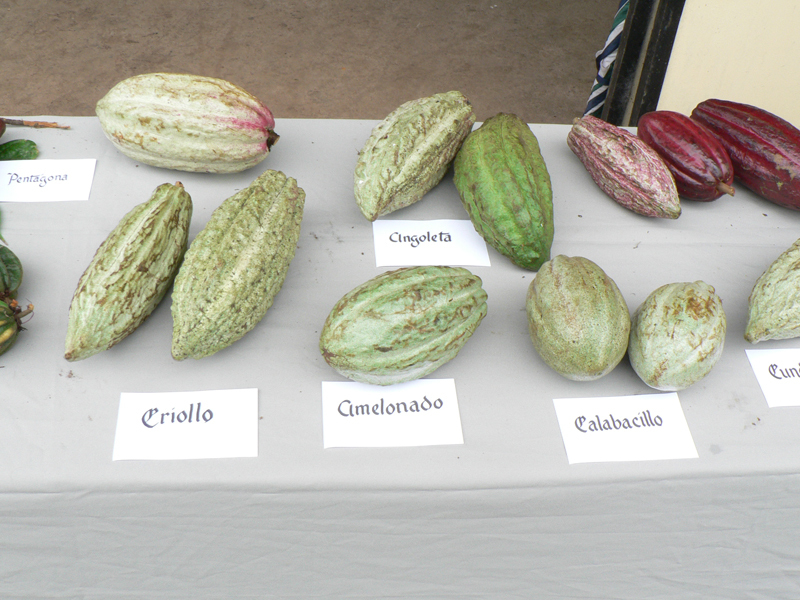 On the West coast of Ecuador there are three regions supplying Arriba beans for Caoni. Each has its own, distinctive micro-climate. Traveling North to South, we have: Esmeraldas, Manabi (both hugging the coast), and Los Rios (a bit more inland). Esmeraldas is known for its wide variety of tropical forests and high humidity; Manabi is the opposite with very dry conditions; while the Los Rios province is replete with rivers that come down from the Andes mountains. Each area produces a different flavor profile in the bean, from intense to mild and creamy. Esmeraldas 77% is an interesting chocolate as it delivers both a tempered snap as well as a slightly chewy texture. Here, the Arriba beans take on the flavors of dark fruits, a hint of tobacco, and a medium long finish. Manabi 77% is a delicious sublimely balanced bar. In Caoni’s publicity materials they rightly claim “These beans are naturally sweet, to the point that you will hardly believe it is a 77% cocoa chocolate.” There are 12 grams of sugar per 50 grams of chocolate, but that is far less than many comparable products. Los Rios 77% is almost a combination of the other two 77% bars in that it has all the complexity of the Esmeraldas, the lusciousness of the Manabi with the addition of pronounced floral notes and a slightly spicy long finish.